Has the everyday monotonous routine of life getting you down? The tedious pattern of work, the drudgery, the rut, the rat race. Italians working laboriously (lavorare sodo) look for a brief escape from the daily grind in a perfectly ground cup of espresso. Al solito tran tran (the usual routine) the monotonous work of life, is always made better with a good cup of espresso. Problems and small worries seem to disappear into the crema. But to make a life-changing cup of coffee you need the right grind of beans to release the aroma and flavor, the bitterness and mellowness that provides a lingering, satisfying aftertaste – an espresso inspired metaphor for life. According to Ernesto Illy, president of Illycaffe’ and a chemist by training, texture (i.e. grind) counts. Espresso is not made with coffee that has been ground to a powder. The espresso grind should feel like fine sand, smooth to the touch. Slightly finer than granulated sugar. Illy’s analysis after studying the passage of water through coffee with a supercomputer is that “there should be 35 million particles of coffee per gram“. 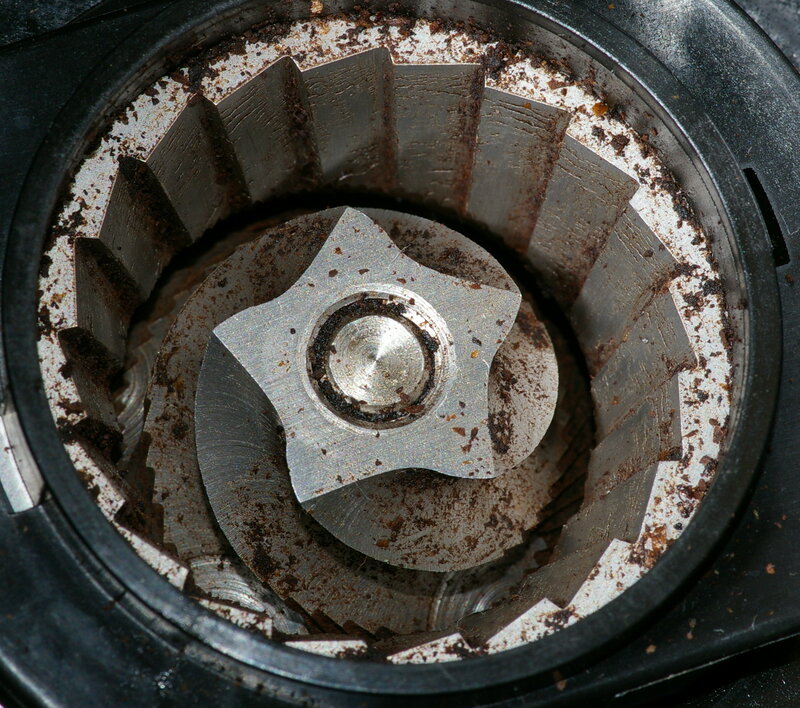 Here are a few precision machines recommended to ensure the perfect grind size. All will cost a hundred or so dollars but worth the investment if you are serious about your caffe‘.